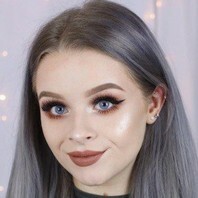 English beauty guru whose YouTube channel has become primarily known for her intricate nail art designs. She also does beauty hauls, makeup tutorials, and DIYs for her more than 700,000 subscribers. She also has a second informal channel called SophDoesVlogs.